Joe Clay is the founder of workbench.tv and a very popular Youtube Channel that generated well over 24k subscribers. Vladimir Prokhnevskiy: [00:00:04] Hello Ukramedia a family. Vladimir Prokhnevskiy here and welcome to episode number 23 of the Ukramedia podcast, where I serve our Ukramedia family with weekly interviews from highly creative people. Vladimir Prokhnevskiy: [00:00:16] Today’s guest is Joe Clay. Joe is the founder of workbench.tv and a very popular YouTube channel that generated well over 24,000 subscribers and almost 1 million views in less than two years. Wow! Very impressive stuff. Vladimir Prokhnevskiy: [00:00:29] Joe, welcome to the show and thank you so much for time. Vladimir Prokhnevskiy: [00:00:33] Joe, before we start talking about your journey as a creative. Tell us a little about your personal life. Joe Clay: [00:00:38] I’ve been married for like a decade now I guess. So, that’s pretty good. I have two kids there are three and one. So that’s kind of keeping most of my time busy. I try to do a lot of little side projects, but obviously that’s kind of on the back-burner sometimes. Vladimir Prokhnevskiy: [00:00:54] You know it is interesting. I have two kids as well. When I was younger, I always had so much free time, but I wasn’t taking advantage of all that free time. I get so much more efficient with my free time now since I have kids. What about you? Did it help you get more efficient? Joe Clay: [00:01:13] Oh definitely. Yea, it’s kind of like when you put some bounds on something you’re working on or whatever like you’re in this little box that you find the best way to kind of work within that. So I’ve kind of done that. Vladimir Prokhnevskiy: [00:01:27] You know it’s so true. I used to work for a company in Florida. Actually, not too far from you in Vero Beach, Florida. And I thought that if I had one day to work and stuff, I would get so much accomplished. And so I had to travel to Vero Beach, Florida for like five days out of the month. It was my work arrangement. I worked from home most of the time, but then I had to travel there for five days out of the month. And so during those five days I was like man I’m going to get so much work accomplished. No kids around me. Just me in a hotel room. You know what? I wasted it all. And I came to the conclusion that when you have very little time to work with, sometimes it’s better because you become more efficient. So anyway that’s what I’ve learned. Now I’m curious to find out how did you get started and After Effects man walk me through it. Joe Clay: [00:02:10] Ok. So pretty much. I started off like college and high school and all that stuff it was kind of like just a traditional fine artist. So like drawing and not so much painting but mostly like drawing. And I was in the class. It was called like Electronic Media. And it was kind of something that was a part of my degree because I have a BFA. And so I had to do like certain different types of courses and whatever and it just seemed to be the one that was like interesting to me and it fit. A I’d already been working on like Photoshop and stuff like that just to support my 2D stuff and for some reason we were looking at After Effects and there was only really a one day intro on it just so that people can get an idea because it was really just a basic course. And the professors like this is After Effects you know and it’s basically Photoshop that you can make things move in and I was like, oh okay so then I just took off from there. Like I was like really wanted to know more about it and just started exploring different things. At that time there wasn’t really a lot of tutorials around it was like just basically a Creative Cow and that was pretty much it. So like Aharon Rabinowitz became like my God. And you know so I like to watch like everything he put out and then just over time other people started putting things out. And that’s kind of what led to workbench in a way. I initially was like alright. Joe Clay: [00:03:24] There is not much of a resource out here for people, so I kind of want to build something that you know help people like I didn’t really have so much help for. And just over time and not being able to get to it or whatever. That’s kind of what ended up being the more advanced tutorials that I wanted to make because then you know video copilot came out greyscale gorilla you know like motion works all of these stuff to get people started and going and then I was like alright, well there’s that’s pretty much been done. So maybe you know I can make something off the more advanced end of stuff that I wanted to figure out but never really knew how to do on my own. Vladimir Prokhnevskiy: [00:03:57] Where did the name workbench come from, by the way? Joe Clay: [00:04:02] So I used to work in this kind of collective that we had called Garage. And at that time I was doing that it was trying to see if the people that I worked with would want to work on it and that’s kind of where Sev came in. And so I was like you know workbench kind of goes in your garage so it can just kind of fit. Vladimir Prokhnevskiy: [00:04:17] And how long have you been doing YouTube videos now? Joe Clay: [00:04:19] I think it’s 2015. I think in January. It was kind of like a New Year’s resolution kind of deal. I’ve always started all these projects and just never would finish things but for some reason just having that weekly deadline of something make sure that I get it done. Vladimir Prokhnevskiy: [00:04:36] You started on Vimeo originally, right? Was it where you went first? What did you switch to YouTube? Joe Clay: [00:04:42] Well, for me Vimeo felt more like a place that polished work goes on I guess and I felt like YouTube was very much into tutorials and stuff like that. I don’t know, it just felt like people go there for more informational stuff versus wanting to see end products on Vimeo. So it just made sense to make the switch and then it’s easier to monetize and stuff like that on YouTube versus Vimeo of course. So, that was also helpful. Vladimir Prokhnevskiy: [00:05:09] I know you’re on YouTube but you also have your own company and do a lot of stuff outside of YouTube. So I’m curious to find out what is your one painful personal failure as an artist? It could be with a client or I guess an experience where you learned a lot. Joe Clay: [00:05:29] Okay well, there was a project I had that with somebody that just kind of threw up a bunch of red flags on me and Sev I both actually ended up on this thing. And we took this project and we have like a week to get this thing done. It was something that was really simple and was like okay cool we have plenty of time to work on it. But it was like a Friday we met these people and then like Saturday they’re like, hey are you working on that thing? And we’d like to see something by tomorrow. And I am like wait, we never even discussed working over the weekend. There is plenty of time to do this. It just became this thing where I needed to learn how to vet my clients in the future. That didn’t happen to me very frequently. But every once in a while I’ll get that same kind of vibe off of somebody and it’s always been a project that it’s been way more beneficial to avoid. So that’s probably my worst story because it ended up where the guy came into our studio and was like sitting over our shoulders the entire time and just didn’t didn’t work like that. Vladimir Prokhnevskiy: [00:06:29] What can you do to prevent something like that from happening in the future man that? 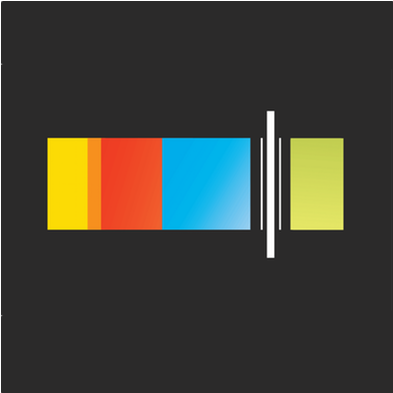 Vladimir Prokhnevskiy: [00:06:58] Share one best projects you worked on to date. 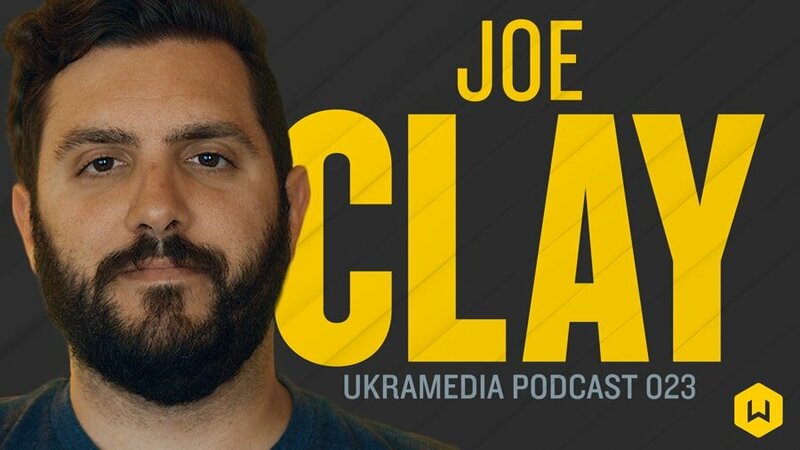 Joe Clay: [00:07:07] I don’t know about best in terms of output or the end product but when I first get started, I worked at this agency in town and it’s more of a story of kind of like being in the trenches with somebody. So I got put on with this Director and basically it was a government based project and we couldn’t have this site out amongst anybody else in the company. So I was basically in my own little tiny room and it was me and this Director that would collaborate on it the entire time. And I was like a six month long project. And basically we sat in this room and we just became super friends working on this thing. And we just stayed there really late at night. We’d end up playing guitar hero because that was popular then just to stay awake. That was actually another time that we had a terrible thing where we basically worked all day and found out after all these renders that the thing that we put together for the meeting in the next morning just didn’t cut together well. So that was probably the worst meeting I’ve ever had. Vladimir Prokhnevskiy: [00:08:04] How did that go? Vladimir Prokhnevskiy: [00:08:06] It was interesting because it was for a military related thing. So the people there were very like not joking about anything either. The Director of this thing was trying to kind of lighten the mood a little bit. Vladimir Prokhnevskiy: [00:08:18] Did you have to do push ups? Joe Clay: [00:08:23] I wish that was all we could have done. It wasn’t really so much that they didn’t really like it so much, but we’re watching this thing back and it was almost like the first time we had seen it, because everything had pretty much just finished rendering like an hour before the meeting. We were watching that and there’s just that feeling of dread, because you’re looking at this thing and you’re like oh this does not work. And there’s just nothing you can do about it. So that was an interesting experience. Vladimir Prokhnevskiy: [00:08:49] But then it turned out to be one of the better projects, right? Joe Clay: [00:08:51] Yeah because of that camaraderie and working in the trenches on that with somebody. Fat lip by some 41 was like a huge thing in Guitar Hero then. If I hear that song on the radio or anything, I immediately think of that guy. Vladimir Prokhnevskiy: [00:09:09] Haha That’s funny. We get people writing to us all time asking advice, tips on how to price you work. Do you have any tips or advice for us? How do you price your work? Joe Clay: [00:09:20] I pay attention a lot to Chris Do and generally, I find that when you price your work, you’re always pricing it to too low. But most of my stuff I do based on a project, because over time I found out that I work more efficiently than a lot of other people. So if I priced myself hourly or even just on a day rate, it just doesn’t work out very well for me. So, I try to kind of base my project rates off of a day rate. Like I just figure out like okay this is going to take 10 days or whatever and then just kind of build that in. If people contact me on something and there’s like a lot of unknowns about the project then I’ll add like a 10 percent for unknown or something like that. So that if something happens, I have that little buffer of of space in there. So just in case something goes awry. Vladimir Prokhnevskiy: [00:10:09] Did you generate any work for you. Joe Clay: [00:10:13] I’ve had a couple of inquiries. I’ve done a couple of things but not nothing huge. Vladimir Prokhnevskiy: [00:10:17] When you price you work, do you ask for 50 percent ahead of time and then the rest at the end? Do you do anything like that? Joe Clay: [00:10:26] Yeah, I generally will try to do 50/50, unless it’s something that is super short. If I know it’s going to be like just a week of time or something like that. I usually will just build them at the end or whatever depending on obviously the the relationship and how it comes across. If it’s just a random inquiry from somebody I have no idea, I’ll definitely get a deposit upfront of some sort. But if it’s somebody that’s was recommended or you know from another client or whatever, then usually as long as it is shorter project, I’ll just bill it at the end. Vladimir Prokhnevskiy: [00:10:54] Do you personally negotiate contracts or do you have somebody else who’s doing that for you? Joe Clay: [00:10:58] I do. I wouldn’t mind getting some representation or something at some point just because I feel like it takes a lot of time in my day to you know build estimates and all that kind of stuff, but generally, it is just me or Sev I’m basically seven I kind of work it together guys. Vladimir Prokhnevskiy: [00:11:11] You’re a father. You have two kids. How do you balance work and personal life? Joe Clay: [00:11:16] Pretty poorly to begins with me. Vladimir Prokhnevskiy: [00:11:19] Haha, me too. Joe Clay: [00:11:20] It’s taking some time. Lately, I’ve actually switched my sleeping schedule, because I’m really just super night owl. If left to my own devices and I don’t have something in the morning to do or whatever or I just know I have time on something, my sleep schedule eventually like loop over to where I’d end up just you know sleeping during the day or whatever, so it just becomes kind of bad. So generally in the past I would be up to like 4:00 in the morning and I’d get up at like mine and then by the time I’m rolling into the studio and everything you know. I get going on something and it’s like you know midday or something. So in the last couple of weeks, I switched over to going to sleep around 10:00 ish and waking up at 5:30 and that’s actually been really good for me. There’s nothing that’s distracting at the morning like all those like you know e-mails from subscriptions and whatever haven’t popped into my inbox yet. I don’t get on anything else I just walk to my kitchen table whatever and just sit there and I work for a little bit. My wife is with me because she’s been doing that too. So it’s been great. Then the kids wake up. I see them in the morning and then I come out to the studio and then I’m all I’m all set. Vladimir Prokhnevskiy: [00:12:19] You know there’s something about waking up in the morning. I used to stay up late and then you wake up at 9 10 and then you feel like you already wasted so much of the day and then you feel this guilt and shame that comes over you. That’s why I went back to the mornings because there’s something about just waking up before everybody else. You come outside and it is still cool outside. You hear the birds. It does something to your day and then I try to go for a run in the morning. I try to get so much accomplished just before nine o’clock. You get so much accomplished and it just does something to you personally. You know like wow I so much accomplished and it’s just not a clock. Joe Clay: [00:12:56] Definitely. The other day it was like 1:30 and I feel like I got like the same amount of time that it would normally take me to get to like 6 o’clock or whatever. By the time that happened and I was talking to a friend the other day and actually he gave me an insight into that. It just feels like your day is so much longer. He’s like well it’s probably because if you start later, you’re rushing to get things done, before you know, you have to go inside. Kids bed time all that kind of stuff. But if you start at like 5:00 in the morning, you got like 10 hours before you’d have to do anything else you know. So you’re not really feeling rushed. I was like huh, maybe that could be why. Vladimir Prokhnevskiy: [00:13:26] And I remember reading a study somewhere. I can remember where. But they were saying how if you stay up too late and then wake up later, you’re more prone to depression and stuff like that. So that’s why I switched. I think it’s mainly because we are just so hard on ourselves. Like wow! I feel like I just wasted the whole day you know. you woke up in 2012. So yeah now I’m going back to the mornings and I love it man. Vladimir Prokhnevskiy: [00:13:51] What are your thoughts on higher education? You have kids now. Would you want your kids to go to college or would you be open to let’s say them go through like an online school like The Futur or School of Motion. What are your thoughts on that? Joe Clay: [00:14:06] It depends on what they want to do. I mean, obviously I think some trade you still really need to go through college and I think even though my college experience wasn’t exactly like a motion design school or whatever. It was basically like fine arts like I said. So I didn’t really have that kind of an education. But I still feel like I got valuable relationships and it was just time to experiment. Things that I learned then I can still apply now. But I would say that if you’re the type of person that is very self driven and you can actually focus on stuff like that, you can probably learn most of the stuff that you need to know without having to do that. Pretty much everything I know and After Effects I didn’t learn from Professor, I learned from messing around with it. Wanting to do a project or something. I’m not somebody that’s going to say oh college isn’t useful for anybody, but I think there are things that you learn from it that can help you. You know just like how I communicate with other people and whatever. It depends on how you were to begin with when you started. Like if you’re a good student in high school and stuff, you might have a good enough foundation that you can continue on to be professional and stuff. I think that’s something that people lack a lot. Every time I see somebody’s email or something and it’s just it’s just not worded properly or something is off about and I’m like okay. It’s just like something that I notice and I know other people notice. People are slacking I guess in their communication. I feel like it used to be a lot more formal. Maybe that was more important. Now it seems to be going by the wayside, but I still notice if somebody has a well crafted e-mail or communication of some sort. Vladimir Prokhnevskiy: [00:15:40] My mentor is an Attorney and I introduced him back like 10 years ago to text messaging. His text messages were real formal like dear Vladimir and now they are totally opposite. So I think that text messaging world is what ruined formal e-mails. He was actually complaining to me about emails. He’s a partner in a law firm and he was telling me how now a lot lawyers don’t write very well either. And speaking of e-mail and Chris Do from the future, he sent me a few e-mails and there were one liners and all lowercase. That’s how I know it’s Chris Do. That’s how he usually responds. I’m sure he gets thousands of e-mails every single day, so that’s why he responds like that. Vladimir Prokhnevskiy: [00:16:26] What advice would you give to someone who is now graduating from high school and someone who is graduating from college? Joe Clay: [00:16:34] If you’re graduating from high school, you should basically try to take the time to figure out what you want to do. Especially, if it’s in motion or whatever. There’s a lot of different things that you could do and just try to feel out what it is that actually interests you. As far as graduating college. I would say you just need to get your stuff out there. If you’re not working, just work on something because you still can build a portfolio without having to actually have client work or anything like that. If somebody sends a reel to me or whatever. I don’t care if you actually did a spot for Nike or whatever, you know. I just want to see that you could, you know. Like the work that you have is of that quality. Vladimir Prokhnevskiy: [00:17:12] What are you not good at? Joe Clay: [00:17:17] There’s a lot of things I’m not good at. I think the main thing I’m not good at, which would sound kind of funny because we only really view other people’s lives through the Internet or whatever anymore. So it probably seems like I’m super productive and I’m like always on something but I feel like I’m the biggest slacker as far as something goes. Changing my schedule around has helped that tremendously. So this last couple of weeks I’ve been way better at that. But before, like I wouldn’t roll into the studio until like 9 or even like 10 11. It would be noon or lunch by the time I’m actually working on something and then I’d end up working later into the day. So I feel like I could be better at getting on things. Vladimir Prokhnevskiy: [00:17:57] You and me both. I am the same way. Joe Clay: [00:17:59] I used to be a huge procrastinator back in the day. Like even more so than than now. Vladimir Prokhnevskiy: [00:18:05] I can’t relate to that. I think we are our worst critics. We may not be as bad as we think we are because we set high standards for ourselves and we always try to meet it and if we don’t then we are so hard on ourselves. Maybe it’s just me, but it is usually the same cycle for me. I go through this all the time, but then I pick myself up and start creating stuff again and then I slack off and the cycle never ends. Joe Clay: [00:18:29] I think it’s also part of the creative life. You can’t be creative all the time. Joe Clay: [00:18:33] You could force yourself to make stuff but sometimes it’s better to just step away. As soon as you clear your mind, you come up with the solution. Just like how everything I feel like it goes creativity wise. Vladimir Prokhnevskiy: [00:18:48] I totally agree with that. Now share one online resource that you find helpful? Joe Clay: [00:18:52] Youtube probably is a good one. Vladimir Prokhnevskiy: [00:18:54] It’s a great one! Vladimir Prokhnevskiy: [00:18:55] You can learn pretty much anything on youtube. As far as other stuff goes, I mean obviously like you know Video Copilot and all those kind of things like Greyscale Gorilla. Just all of the resources out there for different people that check out. Joe Clay: [00:19:10] What about books? Do you read books? Vladimir Prokhnevskiy: [00:19:13] I haven’t read books in a while mostly because I’ve just been super busy. Maybe I have some sort of ADD or something but when I read stuff I tend to like zone off and start thinking about something else completely, which is nice I guess because I started thinking about other things I had forgotten about or whatever, but so then I end up having to read over and over and over again. So that’s kind of terrible for me. I’m very like libertarian so I tend to read like just like Ayn Rand or you know George Orwell stuff like that. Joe Clay: [00:19:49] Are you a Ron Paul supporter? Vladimir Prokhnevskiy: [00:19:51] Yeah, I think he was out by the time he actually got to my primary. Joe Clay: [00:19:56] I’m a huge Ron Paul supporter. I just love his ideas. The guy’s great. I think we even went to one of his rallies. It was pretty cool. Anyway, that’s another conversation for another day now. Vladimir Prokhnevskiy: [00:20:10] What are you most excited about today? [00:20:13] Ah man. Just like availability of tools. It’s just like especially after a couple of years ago when Adobe switch over to pricing that everybody seemed to hate for some reason. I thought that was like the greatest thing ever because it made it just easier to get into stuff. Just all of that. Just the availability of that and that people are building new stuff like aescript.com and all that comes up where people just build things was like oh well this does existing in this program. Oh well, let’s just build it. So I think that’s kind of helped me a lot. It’s helped me to speed up on things and that’s kind of what I try to build for other people too so that they can work faster, because we have these computers and the whole idea of it was that we were supposed to be able to push off our work and like oh let’s let the computer do it. Sometimes that doesn’t happen, although it could. So I try to help do that. And I think a lot of people are jumping on that kind of a bandwagon. Vladimir Prokhnevskiy: [00:21:01] Now how can people get in touch with you? Vladimir Prokhnevskiy: [00:21:04] Twitter at workbench. I think it’s underscore TV. All of my things are because obviously workbench is a super popular thing or whatever, like they’re all just different like underscores or like workbench no space TV, you know. So that’s probably the best one. Twitter. Vladimir Prokhnevskiy: [00:21:18] Alright Joe, thanks so much for its time and I appreciate it. Thank you. Vladimir Prokhnevskiy: [00:21:22] All right. Enjoyed my conversation with Joe Clay. Make sure to check out workbench.tv. 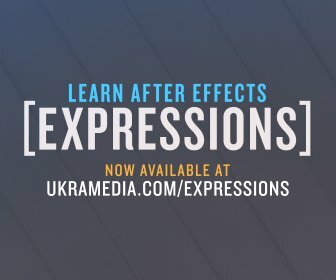 Our Expressions Course is now live. It has been live for a little over a month. So check it out at ukramedia.com/expressions. All the links and resources mentioned this episode are also available on our website at ukramedia.com/23. Don’t forget to join our online mentoring group on Facebook. Simply go to ukramedia.com/community. We have well over 2,000 people in this group. It is a great online resource for those of you trying to grow and it’s absolutely free! [00:21:55] Thank you so much for joining me on the journey of this podcast. I appreciate you and I look forward to serving you in a next episode. You can be a podcast by.